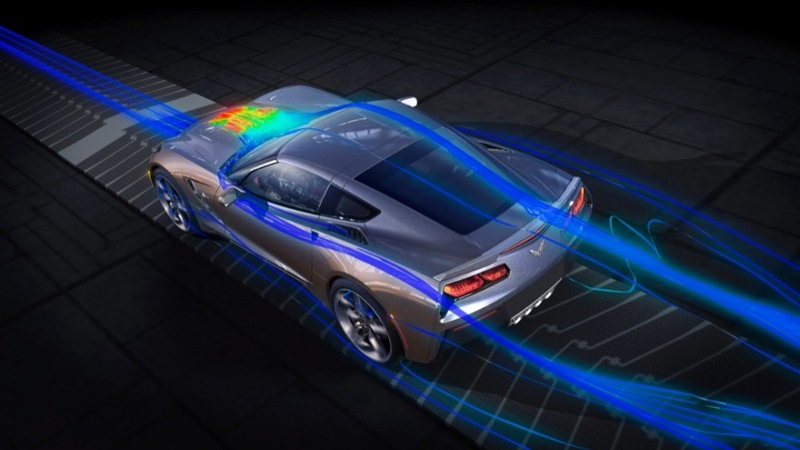 General Motors head of global design, Ed Welburn, said subtle design cues from the C7 Corvette Stingray will find their way onto many future Chevrolet models, Automotive News reports. The sports car’s hexagonal taillights and aggressively styled hood will be seen on several of the bowtie’s new models, including the new Cruze, Malibu and Volt. Welburn said the Corvette’s squared-off taillights will be hinted at in other Chevrolets, along with its “taut, very lean, very sporty,” hood, which will be “a part of really everything we do for Chevrolet,” he added. The overall look of the cars may also be more chiseled and jet-fighter like, a change we saw in the 2016 Chevrolet Volt’s front end. Thanks but no thanks, Welburn. The C7 stylists appear to have had too much time on their hands to implement ever gimmick they could think of. 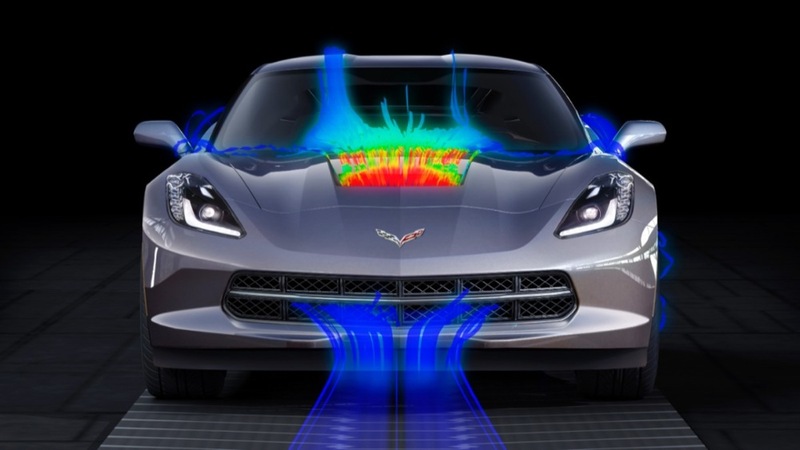 And without question, the aft fascia of the Corvette C7 is the ugliest that GM has ever implemented on a Vette. Lose the awkward creases, cutouts, holes, chrome accents, and cheap black plastic. Try making a clean, subtle, muscular, balanced car for once. The Corvette should be a purposeful machine that other models benchmark for inspiration — not just another shot at reproducing polarizing Cadillac angles and fat ugly Camaro rear ends. You realize the duct work you refer to as “cheap black plastic” are functional for cooling, extracting, aero, or feeding the engine? How is the Vette not balanced? Front-mid engine, rwd, 50/50 weight distribution, proper amounts of power with proper traction management sitting on well rounded tires supported by a fantastic suspension set up which is bolted to a well engineered hydro-formed aluminum chassis that is outfitted with an interior befitting a sports car priced into the 6-figures, not $50k. Basically what you are looking for is a 460hp Corolla. To each his own; I like the look of the taillights, etc. But I do kinda agree that the “looks like you pasted stuff on” add-ons on the rest of the body should be changed. Well I really like the C7Vette, of course it can be improved as everything, everything can be improved nothing is perfect. GM has made perfect in offering a Corvette with a different soul, since 1997 and updated in 1997 C6; Corvette has been offering the same car in handy. One of the neighbors down the street got one of these and frankly I see nothing wrong with the styling and think certain design elements in other products would be fine. They just need to dot the i and cross the t so that a result like the fugly Malibu Camaro-esque taillights isn’t repeated. Styling is subjective but in the case of the new Vette the vast majority have loved the new design. Careful use of the styling traits is good and has worked effectively in the past Chevys years ago. Just as long as they get it right and do it tastefully is all that matters. I am interested in the new Camaro tail lamps as the mules still have not been running production lights. They are often one of the last things applied to a mule. It will be interesting to see what they do. Same on the Malibu with the Impala styling editions. No surprise that they would copy what everyone else in the industry is doing (take a look at even the new F150 and Mustang front-ends side by side.) But really, really sad at the same time. Especially sad for Corvette owners, who probably don’t want their cars looking like high-dollar Sparks. I don’t mind the Corvette sharing a little bit of styling cues with the other cars, but not too much. First, the Corvette is far more expensive than the others so it should not be dragged down by the others being too similar. Second, much of the exaggerated styling that looks great on a sports car, typically bought by very extroverted people who want their car’s styling to reflect their own personality, would look weird and way overdone on a mainstream car that is bought for practical reasons and so should reflect that in its styling. But do add some, as the other Chevys have to become less boring than, say, the current Cruze. In other words Chevrolet is finally going to join the other manufacturers sleek trending products from : Kia , Hyundai , Chrysler and Ford , to name a few . Chevrolet historically has always been the main focus , the heart of GM , but in recent times , it appears that its focus has shifted to the more expensive divisions , where more profits can be made . Competing with the huge volume leaders like the middie sized Camry’s , Honda Accords , Fusion etc just hasn’t been a priority , it would seem ! So now , the tap is to be turned on again , in GM fashion , of course . Take years and mediocre sales and then TADA somewhere in the dim recesses of the corporate bloated management comes a revelation , time for joining the trending marketplace , rejoice , rejoice !! What happened to the 2012 best seller , the Malibu has to me become the symbol of all that is wrong with GM . Make a policy decision to downsize the wheelbase/size , in the face of the longer and high volume immediate competition and then watch three more years of poor sales .before the 2016 tries to recover lost ground . Would this have taken Cadillac , a niche product , this long to revamp its line up , not a chance . This is big profit country and they now appear to have the mandate to offer as many hot designs and models as are necessary . Frankly , if Chevy doesn’t meet the competition , in its market segments , where North American consumers spend the most of their transportation dollars , the company loses its visibility and market impact big time ! This is regardless of how many Buick and Cadillac models it sells . This is nothing new, It never hurt the Corvette in the past and Chevy has along history of sharing styling with other models. The 1958 Corvette had the similar fender and head lights of a Impala. The Chevelle and Impala of the late 60’s and 1971 had round tail lamps. They for many years shared wheels. Hell my HHR has the same steering wheel as a ZR1 though they did this more for cheapness. The Corvette has always been Chevy and Chevy has always been Corvette. There has been some who have tried to pry the car away from Chevy over the years and they have been stopped. With two models coming and Chevy selling the Corvette overseas this may help Chevy gain some stature in other market. At least they are moving away from the retro movement as are most companies. The market is crying for more original designs with only hints of the past vs. full on copies of older designs. The new Camaro will share some with the present car and some heritage but it will be transformed into it’s own in the details. Even the new Impala has a original design but I can pick out some heritage of the past and even some future. Never forget your past but never try to live there is where modern design is going. I am very optimistic about the future.